Three Greek immigrants founded this family-owned local institution in 1919. 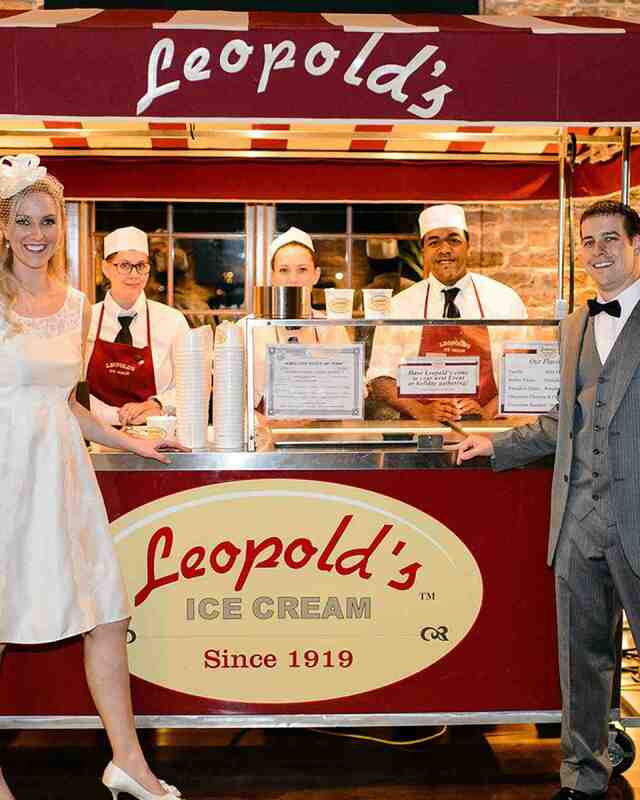 Today, modern-day couples can rent a retro cart—complete with a soda jerk (or two) to serve your guests. Flavors typically skew traditional, but they can create boozy options like peach champagne sorbet as well as a signature ice cream with ingredients that are personally meaningful to you. The company can bring the cart beyond Savannah, though travel fees may apply (last year took them to Chicago and New Orleans).